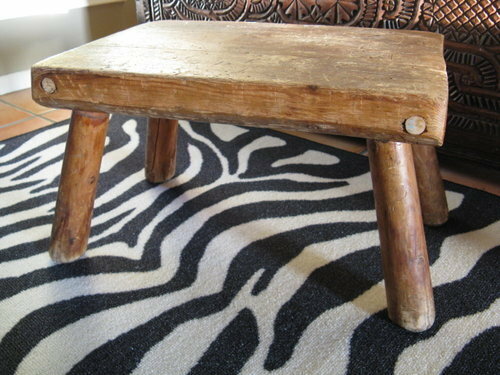 otta to tell you about this humble little [obviously homemade] vintage footstool I found for $2.99 at a thrift store. It looks like something someone made in wood shop class. I love it. I have it sitting in my living room sidled up next to the red Chinoiserie cabinet I found years and years ago for $150. The footstool looks great either by itself or with a vase on top. Now I will reveal my source: The Disabled Veteran’s Thrift Store on San Fernando Blvd. in Burbank. It’s a huge store and I always find something.